Let's plant taro in the backyard garden or in a container garden. Taro is native in Tahiti, Hawaii, and tropical countries especially in Southeast Asia. Taro is well known with big leaves that resemble an elephant's ear. You can plant it in your room with a container garden, too. 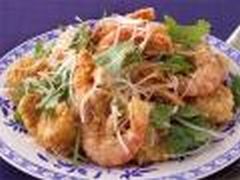 It is delicious and more nutritious compare to other hard-to-plant vegetables. 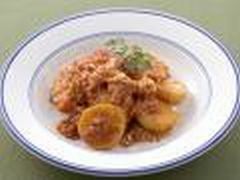 It is edible from leaves up to its corm. Some people and narrow-minded professors say that taro is poisonous because of its acrid compounds (an irritating property of the raw corm). It is a substance irritating the tongue with needlelike crystals of calcium oxalate, which occur in the mucous membranes of the mouth and throat. However, today, there are a lot of taro seedlings cultivated with a new plant technology that has eradicated such irritating substances. Other researchers believe that other chemicals are maybe involved for the acridity and intense itching and burning of raw taro, which would be injected into mucous membranes by the sharp-tipped calcium oxalate crystals. 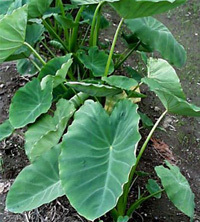 Taro plants are rich in vitamins and minerals. 100 grams of taro contains almost 0% of fat and cholesterol and about 112 calories, 11 mg of sodium, 2 g of protein, contains Vitamin A, C, E, K, iron, calcium, and many others. 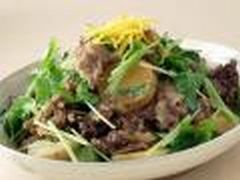 More than 100 million people around the world are eating taro nowadays. It grows in wet soils in the humid tropics of many countries. 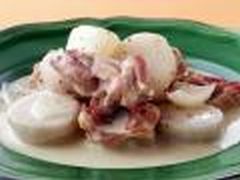 In Japan, Korea, and China, we plant and consume taro practically in our daily diet with variety of cooking from cakes to main food. Taro crops can help world hunger, if we all join together. Let us start planting it in the backyard garden, even in a small container garden. You have nothing to worry about during any season excepting winter. It can decorate your garden and room, too. 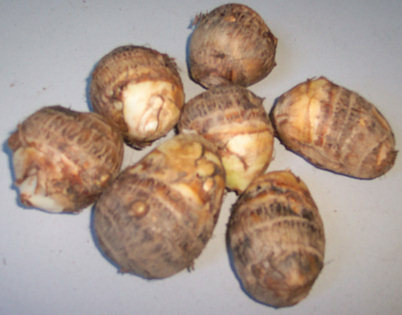 In fact, I have planted taro since childhood, inherited the habit of planting it by my uncle. 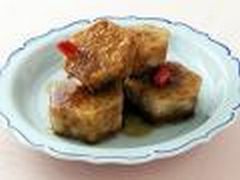 Most of the time, our snack is boiled taro or made it into cakes. Grind taro, and mash with sugar or put other ingredients that fits your taste. You can bake, you can toast, or you can fry as you like. It is good for all of us. 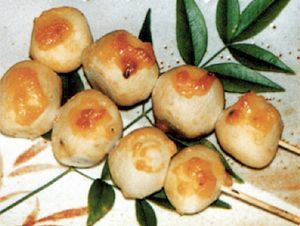 In Europe, Taro is roasted, boiled, or baked and made into cakes. 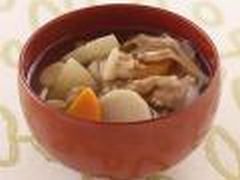 Heating is one way to remove the acrid irritating substance of the taro. Taro has a higher proportion of protein, calcium, and phosphorus than potato. Taro is rich in vitamins A and C. Taro is digestible at higher rate and rich in amylase, which breaks down to sugar with saliva. Taro is excellent for people with digestive problems, and therefore, taro flour is used in infant foods especially for those who have allergies, such as lactose intolerance. Taro is also known as good food for preventing tooth decay. In addition, I heard that taro is one of pollutant-free crops. Nowadays, many crops are affected due to pollution. Dioxin, toxin of insecticides, industrial chemical pollutants, nuclear radiation, and many others affect our daily food in our farmland. You can eat taro without fear, taro is not affected, is that so? Please investigate. What more do you ask about Taro?